Want High Performance Polishing? Choose the Correct Backing Plate. When we polish automotive paint via machine, the buffing pad and compound we use plays a large part in determining polishing performance . Of course, the machine’s speed setting, user applied pressure, and the type of machine we are using are also very important factors. Did you know that the backing plate (the part that connects the buffing pad to the machine) also plays a large part in overall polishing performance? It most certainly does, yet most people use whichever backing plate they have available to them, or simply use the one that comes packaged with the machine. And why not? 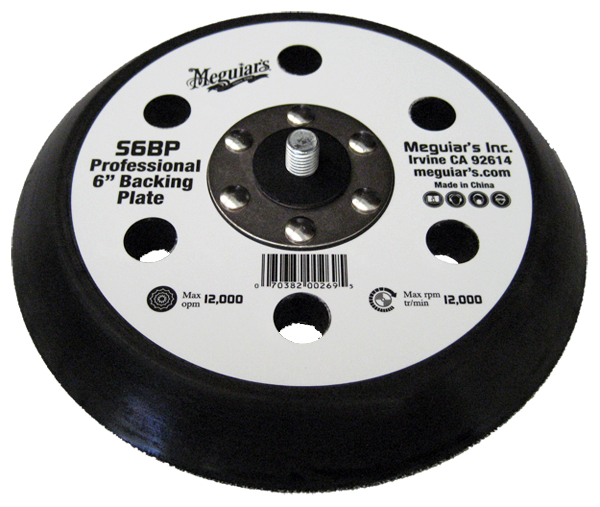 If the backing plate holds the buffing pad safely and securely, its main purpose is being fulfilled. 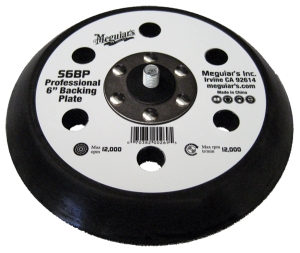 However, to be certain that you are maximizing cutting power and achieving great final polishing results, it’s almost always best to use a backing plate that supports the entire diameter of the buffing pad, or as close to it as possible. Keep in mind that the closer the backing plate is to the edge of the pad, the less cushioning or safety zone you’ll have available in the event that the edge of the pad contacts a painted or delicate surface. Although we all hope to garner maximum performance from our equipment, it is safe to assume that we also agree it would be foolish to trade safety away, in hopes of gaining a small performance edge. Very good points Kevin, and a subject that most would never even consider. As you know, the backing plate selection is as important as determining the best tool, pad, and polish for the job (also the technique). Thanks Todd and Mel for the compliments and comments.